If your goal is to keep medical expenses down, using generic medicines instead of name brand can make a huge difference. 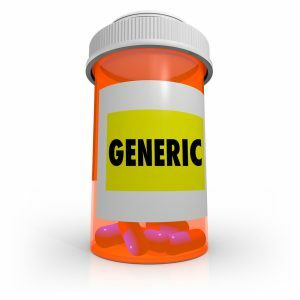 But are generics as good or as safe as name-brand drugs? Will they work? Are they safe? Today, about 88 percent of all scripts written are for generics, which saves consumers $8 to $10 billion a year, says the FDA. A manufacturer can make a generic version of a drug when the name brand’s patent runs out – which is usually after 20 years. Sometimes, a single generic manufacturer is granted exclusivity for six months, but after that it’s a free-for-all. Generic versions have the same “active ingredient” as the brand name, but manufacturers do not have to go through massively complex and expensive testing to establish safety and efficacy, because the original manufacturer already did this. Manufacturers of generic drugs only need to demonstrate “bioequivalence” by submitting an Abbreviated New Drug Application to the FDA's Center for Drug Evaluation and Research, Office of Generic Drugs. To qualify as bioequivalent, the generic must produce levels in the blood that are within 10 percent of the upper and lower levels that the name brand achieves. Most experts consider this 20-percent spread to be acceptable and that it will not have any noticeable effect on how well the medicine works, although there are exceptions to that. The FDA talks about generics being “identical” to brand-name medications, but some people challenge this. For example, People’s Pharmacy, who are no great friend of the FDA, says calling generics and brand names “identical” is misleading. 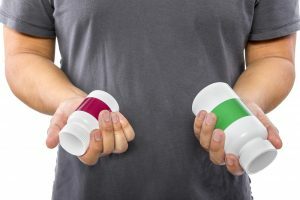 There is justification for their objection, as there can be differences in the inactive ingredients of the formulation – so called excipients – like filler, binders, and coloring that are different from the name brand product. Some people believe this affects the way the medicine works, and some people can even be allergic to one of the ingredients in a generic that is not in a name brand. The antidepressant Wellbutrin XL is an example People’s Pharmacy targets, saying the name brand and one of the generic “equivalents” do not produce the same mean plasma concentrations, causing people to experience withdrawal-type symptoms when their medication is changed. The difference is that name brand Wellbutrin XL has a membrane technology to achieve a gradual release of drug from the pill, whereas the generic uses a matrix release mechanism. Another thing to consider is that some medicines have a very narrow “therapeutic window.” This means there is a narrow range of blood levels for the medicine to work without causing toxic effects. In my own experience, the drug rep from the company that makes Synthroid (AbbVie Inc) always made a big issue of how generic formulations of levothyroxine are not the same and “you must prescribe name brand Synthroid.” However, I have seen comments from experts that this is a bogus claim, and nothing more than sharp marketing. It helps if you’re able to measure the blood level of a drug. I saw a 37-year-old woman who had seizures and was on immediate release Keppra, but the Moss Free Clinic where I see patients only had extended release Keppra XR. One of the hard parts about running a free clinic that’s always short on money is that we’re only able to keep in stock those medicines we can afford. This issue isn’t helped by some of the insane, and totally capricious, hikes that even generic medicines are subject to, like the price for the bladder infection medication phenazopyridine jumping from $9.39 to $80 to $228 for a bottle of 100 pills. Of course, this is chicken feed compared with the most famous of price hikes by the bad boy of Turing Pharmaceuticals, Martin Shkerli, who raised the price of daraprim by a cool 5,000 percent. So, I changed the female patient above to Keppra XR, but was able to get a blood level on her, which showed she was in the therapeutic range. So that was reassuring. Other medicines, such as anticoagulants like warfarin (most commonly known by the brand name Coumadin), can be monitored by other parameters, like checking the prothrombin time to see how much the blood is thinned. There is also concern that the FDA does not have the wherewithal to adequately police foreign manufacturers. There are reports (on WebMD for example) of 44 different Indian companies being banned and warning letters being sent out to Chinese companies. Your pharmacist may be able to tell you if the drug comes from a reliable manufacturer, or at least who that manufacturer is so you can check for yourself. The FDA website, Drugs@FDA, has a lot of information about medication, including the names of manufacturers of generics, but I found there is so much information there that it’s a little hard to navigate. However, if you go to “Drugs” then “Spotlight” on the top right column, and then to “Search Drugs@FDA,” you can enter the name of the drug you’re interested in and you’ll get the result you need. Hopefully this helps clarify any doubts about generics versus name brand. The FDA is adamant that generics are OK and as good as name brand. And though they allow a 20-percent spread as acceptable, they report it as only an average of 3.5 percent, which is the same level of variability you‘ll see between different batches of a name brand medicine. I always tell my patients generics are as good – and usually a whole lot cheaper. The only provisos would be to remain alert for any adverse effects if you’re being changed from name brand to generics, and to consider getting a blood level done if things don’t seem right.